As France threatens an ever more draconian crackdown on speeding why risk it when derestricted Germany is so close by? Italy flogs off its fleet of official limos. Belgium comes up with a sure fire way to keep Bad Dads on track. Plans for a swish new rest stop in Denmark, Audi’s A3 e-tron will be genuinely zero emission, PSA signs up with IBM, Greece rolls out free wifi, and it was a good day at the Gibraltar-Spain frontier. Don’t risk your licence in France when you can go as fast as you like in Germany. 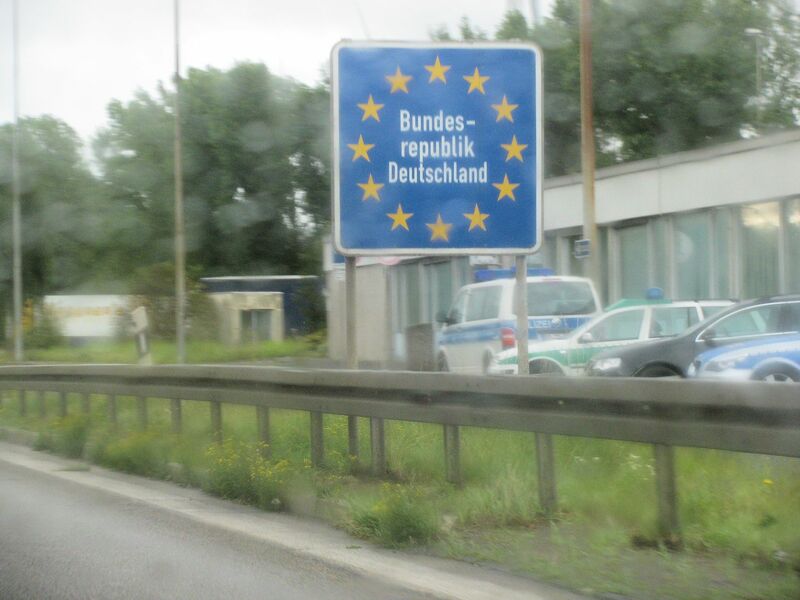 The German border near Aachen, from the A4 to Cologne, the closest autobahn to Britain. Don’t speed in France this summer. They might be having trouble with their speed cameras at the moment but, make no mistake, come the holidays the police will be out in force. Get caught at more than 40kmh – 25mph – above the limit and your licence is at risk. Just ask Jeremy Clarkson. But why put pedal to the metal on French roads when just across the German border you can go as fast as your car, skills, nerve and the conditions allow? 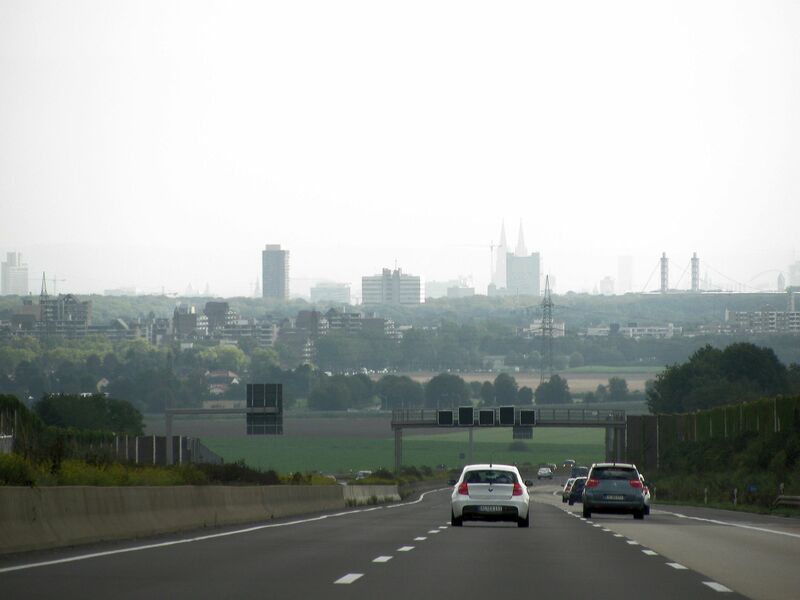 Around 200 miles from Calais – half a day’s drive via Brussels – is the A4 at Aachen. It’s not just the closest bit of autobahn to Britain, it’s the closest bit of derestricted autobahn too. The only problem is that, like most German motorways, the A4 is dual carriageway. Not great for high speed runs, especially for novices. There’s the odd three lane section (and a lot of road works at the moment too) but the road doesn’t open out properly until the Michael Schumacher Kart Centre at Kerpen. It’s only about another five miles before you hit the city limits of Cologne. So where next? The A4 doesn’t open out until you’re within sight of Cologne. Photo @DriveEurope. The authority here is Clemens Gleich. His ePamphlet ‘The Traveller’s Guide to the German Autobahn’ is essential reading, not just because it only costs 79p, and he details some of the mechanical issues you need to be aware of, but because he pinpoints the best locations. What you need is a wide, quiet, long, ideally straight stretch in the middle of nowhere. Gleich’s pick nearest Cologne is the A7 through the Kasseler Berge (Kassel Mountains) between Bad Bruckenau and the A38 junction – Autobahndreieck Drammetal – south of Gottingen. For the other good stretches see the book. In general, Gleich recommends eastern Germany (a good one is the A9 at Dessau where the last land speed record attempts were made before the war). There’s also the A71 just to the east of the A7, the BMW test loop near Munich, the A27 between Bremen and the coast and the A7 from Kiel to the Danish border. Our personal recommendation would be the A2 between Hanover and Berlin. Wide, flat, straight and typically quiet, 125mph is an easy cruise. Roundup: BELGIUM. Pay alimony or lose your driving licence says the government. DENMARK. A new secure rest area off the E20 between Koge and Ringsted, on Zealand south of Copenhagen – replacing three existing areas but with more truck capacity and space for 64 cars – gets EU cash. It’s also not far off E47 to the Rodby-Puttgaden ferry. Should open December. CARS. Audi offers carbon-free electric charging in Germany for A3 e-tron drivers (and their homes). PSA Peugeot-Citroen signs a deal with IBM for in-car connectivity services while Greece rolls out free nationwide wifi from November. GIBRALTAR QUEUE WATCH. A good day. The maximum delay was just 50mins. Auto Blu: the Italian government is selling off its fleet of ‘Blue Cars’. The chauffeur driven official limos irritate other motorists as they are waved through traffic jams and have become emblematic of a self-serving elite. The first batch of 25 are on ebay.it now, a varied bunch including a couple of Jags, Mercedes, Lancias and, of course, Maseratis, all painted that fetching shade of dark, dark blue. 151 will be sold by mid-April. Search ‘Le Auto Blu del Governo’.